June is here so it’s time to start thinking about new summer squash recipes! The main difference between summer and winter squash is that you can eat every part of the summer squash. 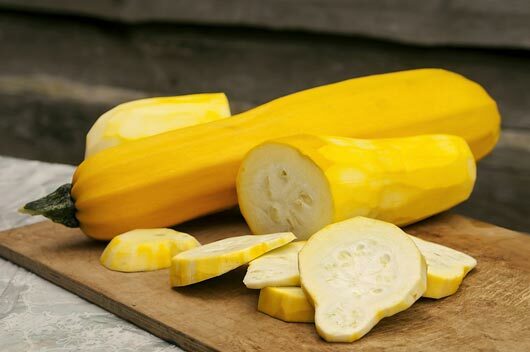 The most commonly used varieties are Yellow, Zucchini and Pattypan. Each has its own special flavor and texture but they’re all a delicious addition to any summer meal. Anyone watching her waistline will appreciate that summer squash (especially yellow) is very low-cal but it’s hearty texture and high fiber make it totally satisfying. This delicious veggie is also a fantastic source of potassium, magnesium, copper, vitamin C, and folate. Eat the skin and seeds to take full advantage of their antioxidant power. Here are 10 summer squash recipes that will make you rethink how to cook squash.